Marshall is known throughout the World for creating some of the best sounding Guitar Amps that anyone have ever heard. 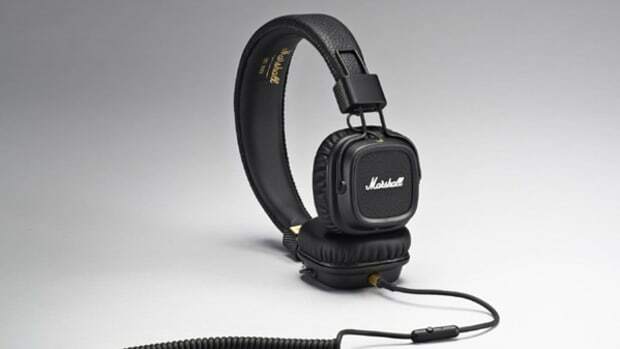 Marshall has taken the same ingenuity found in their guitar amps and applied it to their first on-the-ear designed headphones called the Marshall Major. 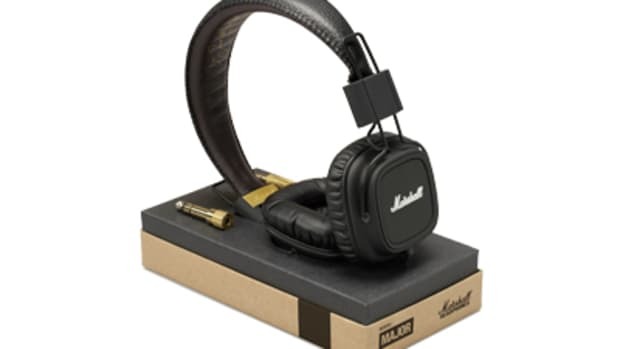 The Marshall Major headphones have a cool throwback look and feel to them and they really feel like a product that belongs in the Marshall family. The big question is whether or not they are suitable for DJ’s. Check out our answer in my HD-Video review after the jump. Marshall is known throughout the World for creating some of the best sounding Guitar Amps that anyone have ever heard. They’ve been in business since 1962 and anyone who’s anyone in the guitar realm has at least one of these sought after amps in their personal collection. 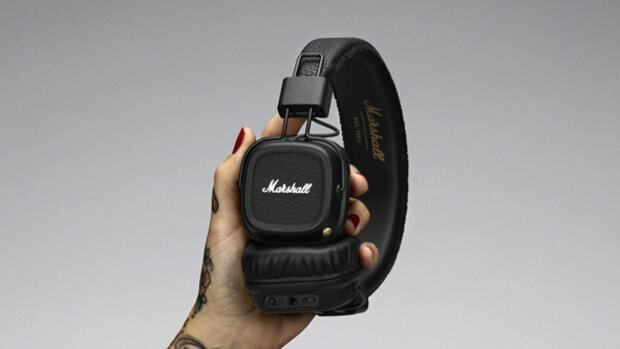 Marshall has taken the same ingenuity found in their guitar amps and applied it to their first on-the-ear designed headphones called the Marshall Major. 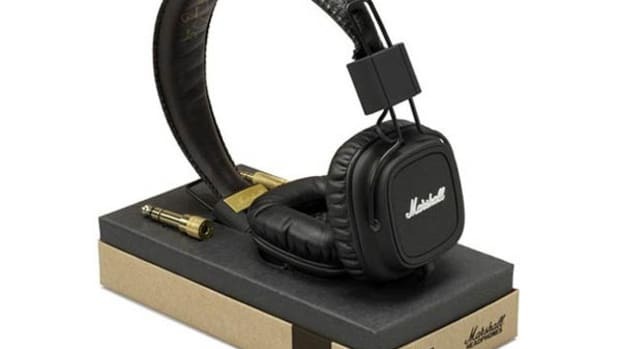 The Marshall Major headphones have a cool throwback look and feel to them and they really feel like a product that belongs in the Marshall family. The big question is whether or not they are suitable for DJ’s and I’m happy to report that the answer is a resounding YES! 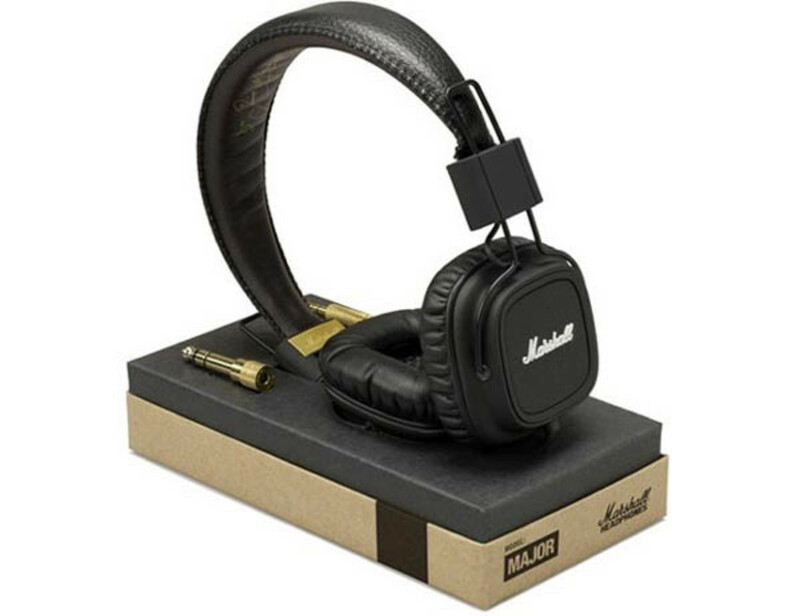 The Design of the Marshall Major headphones is very cool indeed. They have this retro look to them and a feel that is high-quality and built to last. There is a permanently attached coiled cable with an in-line microphone and one-touch button for receiving or making calls on your iphone or other compatible smartphone. It is a 3.9ft Coiled cable (9ft extended cable) with a high quality mini jack on the end that resembles what a professional ¼-inch style speaker or microphone cable would look like. It would have been nice if Marshall would have made this a removable cable so that way users could replace it if the cable gets damaged, but it does feel like its high in quality from end to end, but it’s worth pointing out. The earpcups on the outside are made up of plastic with a nice rubberized coating to it while showing off the Marshall Logo on each side. The earcups are connected to the headband via a metal wire style horseshoe connection. This is a cool and unique look that also proves to be very stable, lightweight, and strong all at the same time. The headphones have 40mm drivers that are covered by some really comfortable memory foam pads and soft (but fake) leather material. These pads fit on the ear instead of over the ear but they are VERY comfortable and lightweight. These are some of the most comfortable headphones to use for long periods of time. The earcups as a whole don’t do a really good job of isolating the outside sound from what is in your headphones or vice-versa. When someone is talking in the room and you put the headphones on your ears with no music playing, then you can still hear them talking at virtually the same volume as before. And likewise, when you start cranking the volume, people around you will be able to hear exactly what you are listening to. There are other DJ headphones that do a better job of isolation than these, but since the volume of these headphones is pretty loud, it always drowned out the background noise making this a non-issue for DJ use. The joint that connects the metal wire swivel to the headband is a strong plastic mold with the same rubberized coating to it. The hinge design on the Marshall Major headphones allows the user to fold the headphones for easy transport and storage. 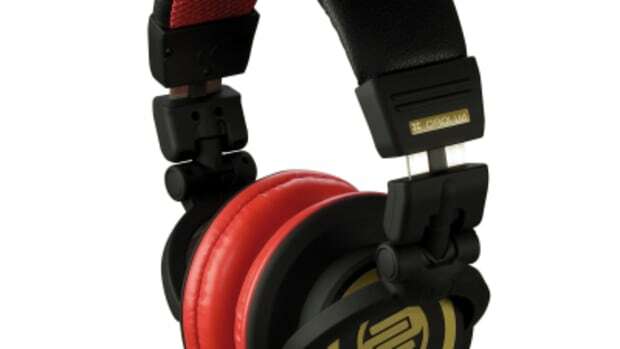 These headphones cannot swivel like other DJ headphones, but they do fold to make them more compact. The hinge design on the Marshall Major is very unique and they don’t stress in the same locations as other headphones which usually break at the hinge. It seems that the stress of the hinge goes in the opposite direction of other headphones and therefore feels like they will last a really long time in that regard. The headband on the Marshall Major is also very light and comfortable with adequate padding and a denim covering material for durability. The headphones overall are very light and perfect for extended listening and DJ needs! The headband has a very good amount of resistance to it making it pretty tight on your head. Some DJ’s may not like the “grip” of these headphones, but they are sure to stay on your head when you put them there, no matter how crazy your head bangs to the beat. The Sound Quality of the Marshall Major Professional headphones is great. They have 40mm diameter drivers with thick diaphragms and voice coils to provide a good level of bass and good/crisp playback of the mids and highs. These headphones perform great for all types of music and on different devices. Throughout my play-time with these headphones, I found that the lows, mids, and highs all sound pretty evenly distributed as one never drowned out the sound of the other. These headphones seem to have an excellent balance between bass, mids, and highs, and it ends up as a very enjoyable listening experience on smartphones and computers, while still providing lots of volume when needed for those live DJ applications. Even as volumes were pushed to the max, the Marshall Major headphones react with minimal distortion. Without being a complete audiophile, I would say that the Marshall Major headphones are very comparable, in terms of sound quality, to other professional DJ headphones on the market that come in at the $100 mark. 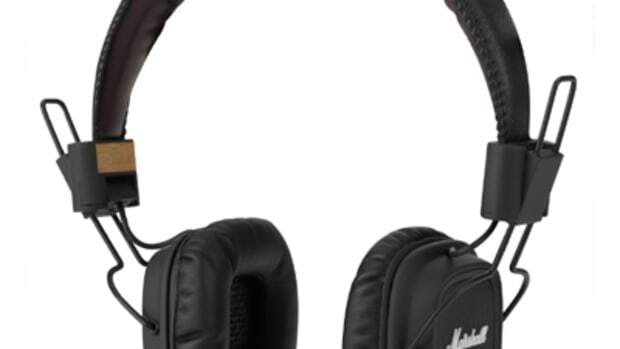 Overall the Marshall Major headphones sound great on MP3 players, smartphones, computers, and even in the DJ booth. We used these with various DJ controllers and with three different DJ Mixers with all great results. These headphones don’t have the best isolation, but they make up for it with crispy sound and loud volumes for just about any demand. In conclusion the Marshall Major are a great set of headphones that will work well for DJ needs and for other general playback activities as well. 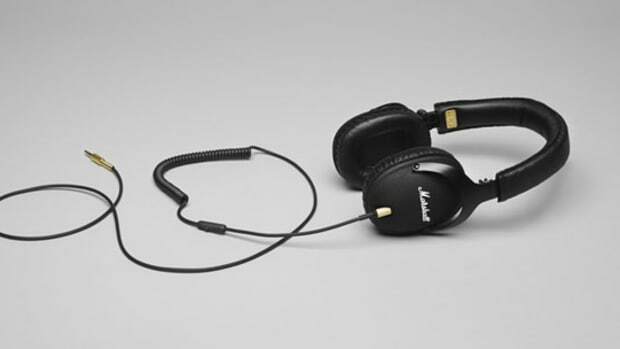 The Marshall Major is a good all-around headphone that may be the only headphone a person needs for multiple uses. The Marshall Major Hedphones have a nice and uniform sound quality, tough and rugged construction, all while being lightweight and comfortable throughout extended periods of use. The Marshall Major’s are also foldable and collapsible for portability and storage.